​Wayne Day 2019 is in the planning stages! From the beginning of the event to the evening bonfire, Wayne Day 2019 promises to be a day of new events peppered with the yearly favorites of food, kite flying, horses, neighbors, music, crafts, hayrides, vendors and the bonfire. Would you like to be involved in planning Wayne Day 2019? E-mail us at whps1834@yahoo.com to let us know! 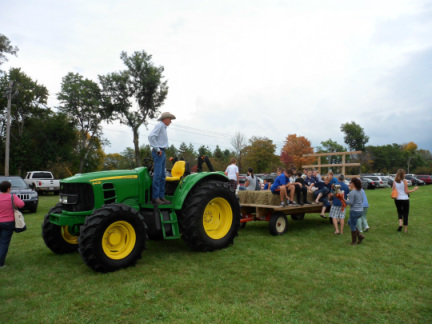 Wayne Day is our annual Fall Festival, where residents and their friends gather in the open field by the Dunham Woods Riding Club to enjoy the Village's historic charm. From watching the equestrian community in action to kite flying, old fashioned games, hay rides, crafts, exhibits, food, music and the end of the day bonfire, Wayne Day is an event our residents look forward to year after year. Bring your friends, your lawn chairs and blankets, your "Bags" games and on a clear evening, your star gazing equipment and enjoy a relaxing time visiting with your neighbors!